We are offering Ajax Fiori Concrete Mixer. We are engaged in offering a huge array of Mortar Mixer to our customers. We offer these at market leading rates. We "Kwality Era India Pvt. Ltd." are a leading manufacturer of a durable and flawless array of Used Ajax Argo 2000 Self Loading Mobile Concrete Mixer. 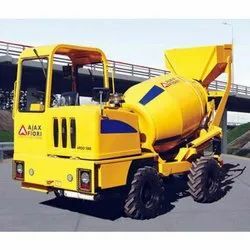 This mixer truck is highly demanded on construction sites for concrete mixing. It is well known for sturdy service and low fuel consumption. Accurately measures all the ingredients to produce high quality concrete.